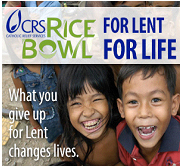 The Catholic Relief Services annual Lenten Series continues in March with programs scheduled to take place at the Archdiocesan Pastoral Center, 222 North 17th Street in Philadelphia. Reflections by a speaker working with CRS, along with questions and answers, will take place from noon to 1 p.m. A simple meal of soup and bread will be provided compliments of Williamson’s. Jacques Kabore, leader of the Savings and Internal Lending Community for CRS in Burkina Faso, Africa, will speak Wednesday, March 6. Sister Mary Sullivan, S.H.C.J., parish services director for Divine Mercy Parish in Philadelphia, will speak Wednesday, March 13. Chandreyee Banerjee, country director for CRS programs in Lesotho, will speak Wednesday, March 20.